Having just recently arrived back from a great trip to the United Kingdom, I had a few hours to kill in London's well known and famous Heathrow Airport. I would have to say my experience at Heathrow was much better than what could only be called a CF, at Charles De Gaulle Airport in France. I've been through that airport on more than one occasion and the "experience" if I can call it that is always the same, harrowing at best. But laying that aside for another day, lets launch into a subject I know we all like, well at least most of us. Two topics really, one the ladies really love and that is shopping and one the guys really like, and that is getting your single malt on. Yes, you heard me right shopping, tasting a varied selection of single malts combined with hours to wait before your flight is ready to board at the duty-free shop. 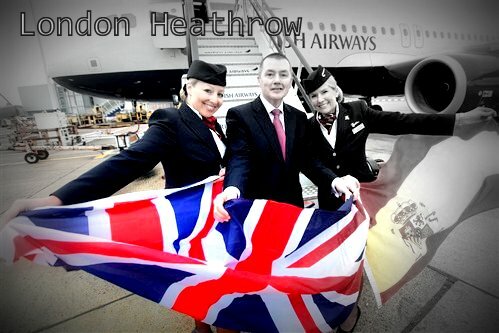 All of this can be done at the Heathrow airport in London, no longer will you be be bored while waiting to board. I was a bit flummoxed seeing so many different bottles of single malt open, just waiting for me to ask can I taste that? Once I do ask, an emphatic "yes" is the answer to my silent prayers from the "guy" in doing the khaki-casual thing at the duty-free shop. I'm thinking well then bring it on, there were quite a few Single Malts, I've not had the opportunity to try before, so I dove in head first, making an amber colored splash and of course I found a few more favorites that I will want to add to my collection at some point in the future. 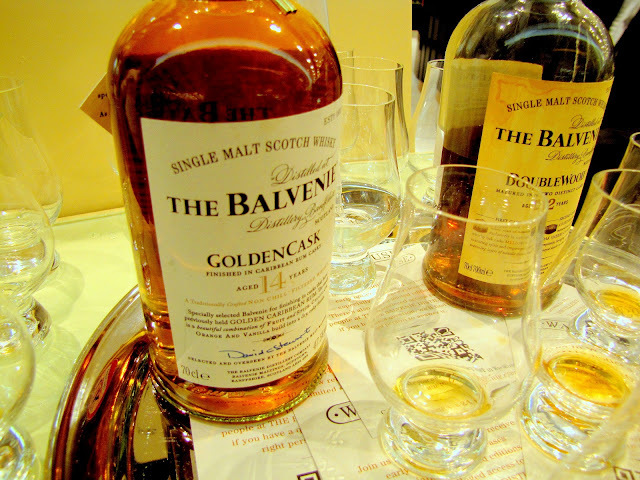 The Speyside distillery of 'The Balvenie' 15 year 'Golden Cask' [pictured above] was a very nice quaff, easy gentle spices, you could taste the homegrown barley, it had nutty sweetness, a puff of smoke, cinnamon spiciness and a delicately proportioned layer of Caribbean Rum. It's not high end, but one that is very approachable, especially to folks who don't get the peaty, smoky thing. So whiskey isnt' your thing huh? You thought this was a wineblog, perhaps you were wondering what the bleep is going here, with all this business about Scotch. Psssh, what-ever, hold on to your lederhosen for just one minute, if you could please. 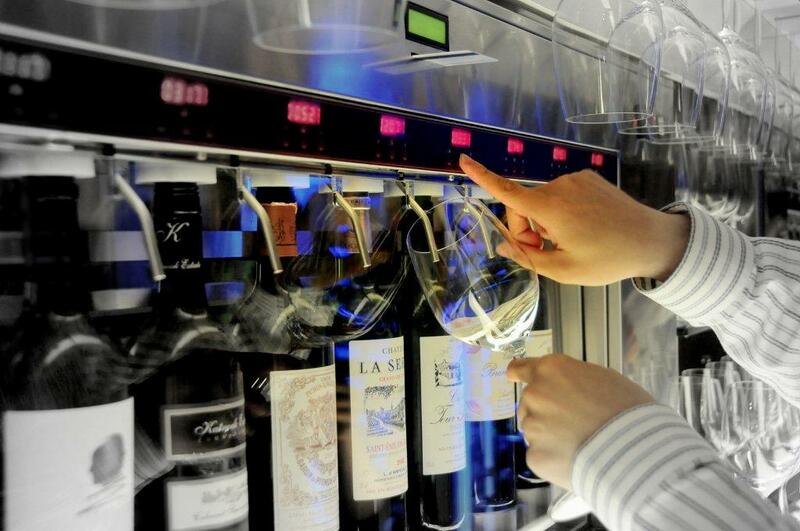 I also discovered they had a few very high-end wines on tap in via a enomatic machine and they had some 1er Cru on tap [sorry to rhyme] oh-crap are you freaking kidding? Well they weren't and again all I had to do was ask nicely and the nice gentlemen poured me a couple ounces Burgundy Cru. What more could you ask for, while waiting to board your plane? Well since you are asking for more, then how about walking [now that would be something to see] a walk-in humidor? Hmmm, not bad huh? Want to try a sample, umm go ahead just ask, apparently, not being afraid to ask leads to all kinds of good things. Somewhat similar to that Zero Calories Coke commercial where the guy ask, "And?" I nearly made Mrs. Cuvee and I miss our flight because I was getting so carried away, 'asking', sampling and all that I somehow had lost track of time like the proverbial kid in the candy store. But nonetheless it all worked out and a quick dash to the gate had us both boarding on time, albeit a little winded from the experience [and yes Mrs. Cuvee was more than a bit unhappy]. That is all I have for you today folks, until next time remember as always to sit back, relax and continue to sip long and prosper cheers! Who really thinks that spam 'comments' on a blog is considered effective advertising tool for their product or service? I don't I think it's at all. In fact I think it’s extremely unprofessional and I published these two comments seen above so everyone will know what "spam" looks like! Some are very overt, while others attempt the more subtle indirect approach like the first one. I would not recommend using the services of any company that uses such tactics.